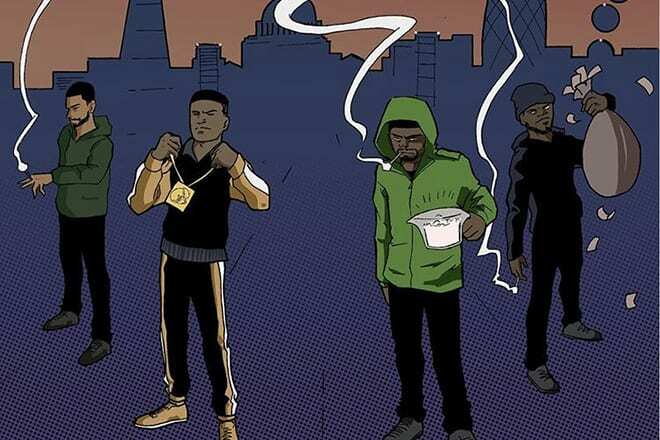 Flyo has released a single featuring Suspect, Skrapz and Tiny Boost called ‘Rap Ni**az’. Known for serving up hard-hitting rap instrumentals and working closely with Supsect, the beat on Flyo’s latest track is a slick, with each artist going hard with their verse, brought together by a typically flamboyant hook from S-pect. ‘Rap Ni**az’ is the first single from Flyo’s forthcoming EP, which is due for release soon. The visuals bring an atmosphere of an underground meeting between a few mob bosses, as does the various quick piano medleys’ found throughout. For more Flyo’s work, check out his work on Dimzy’s solo mixtape, Dim The Lights, here, the beat he made for Aystar and Youngs Teflon’s new drop here, and of course, his co-production tag the banger that is ‘One Way’, featuring Suspect, Skepta and Jesse James Solomon. Plugsville recently spoke with Tiny Boost in an exclusive interview, where he spoke at length about his career so far. The Peckham rapper discussed SN1’s impact on UK rap, Strictly For The Streets mixtape, jail, returning to music and more. You can watch the interview clicking here.